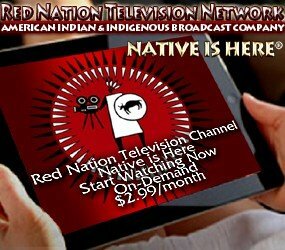 Red Nation International Film Festival & Awards is an American Indian & Indigenous film festival that takes place every year as part of the City of Los Angeles Celebration of Native American Heritage Month. Founded in 2003 by Humanitarian, Award Winner filmmaker, actor and member of The Academy of Motion Picture Arts & Sciences, Joanelle Romero. The Los Angeles 23rd RNCI Red Nation International Film Festival runs November 5-16, 2018, Festival includes Star-Studded Red is Green Carpet Events, Native FILM Market™(Indigenous Filmmaker Distribution), The Pitch is BACK, Retrospectives, Red Nation Conversation Series™, Red Nation Conversation Series™, Native Youth Matter Film Series™, Native Women in FILM™ & Television™, LGBT Two-Spirited Film Series, Indigenous Film Series, Environmental Social Justice Films, Native Film Labs™, November 16th RNCI Red Nation Awards™, broadcast LIVE on Red Nation Television Network™ Native is Here (reaching 10 million viewers in 37 countries). The Festival comprises competitive sections for American Indian and Indigenous (international) dramatic and documentary films, both feature-length films and short films, group of out-of-competition sections and Student films. Take a peek at the 2017 Red Nation International Film Festival Awards Winners. 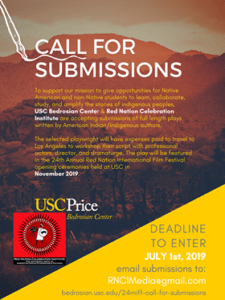 The Festival, is a program of and produced by Red Nation Celebration Institute™, takes place annually in Los Angeles, during the month of November in celebration of American Indian Heritage Month™. With 1500+ attendees, it is the largest independent native film festival in Entertainment Capital of the World. 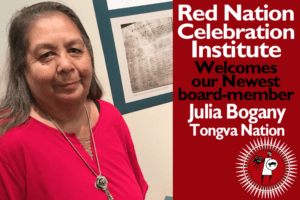 In Santa Fe annually with Red Nation Film Festival ‘On the Road‘ during the largest gathering of Native Artists and is the most prestigious trailblazing organization in NM. Los Angeles. Globally. Native Women in Film film festival held annually in Los Angeles the Night Before the Oscars in February. Red Nation Celebration Institute produces RNIFF ‘On the Road’ festivals annually. Red Nation Celebration Institute produces Native Women in FILM Festival dedicated entirely to female filmmakers, held during Oscar week. RED NATION INTERNATIONAL FILM FESTIVAL (RNIFF) is the first American Indian & Indigenous Film Festival in Los Angeles founded in 2003. RNIFF was the first to establish a “Red is Green” Carpet event placing American Indians on the Red Carpet in 2009 with an exclusive screening of ‘New Dawn Twilight Saga‘ in partnership with Summit Entertainment. 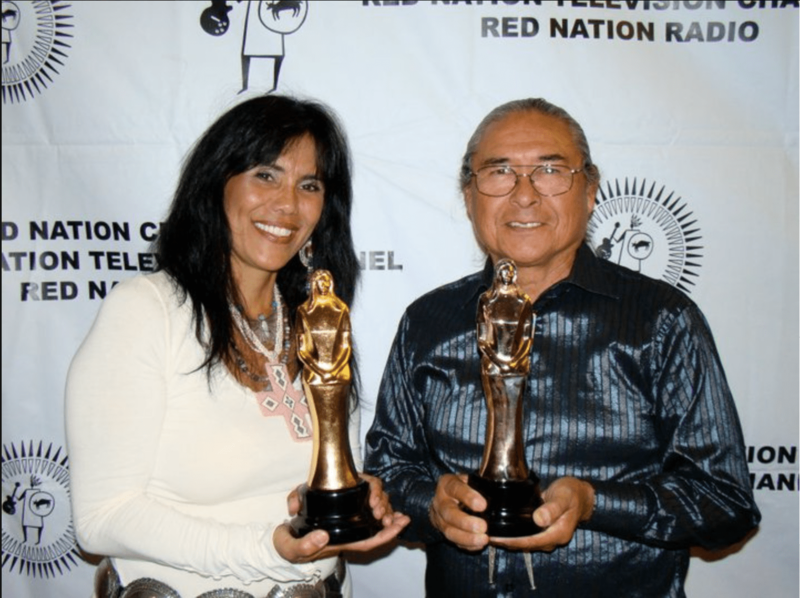 RNCI Red Nation Awards™ honors accomplishments of Independent Motion Pictures, Documentaries, Shorts, Television, Comedy and Music which are produced, directed, written, and or starring American Indians. Honorees include individuals who have made advancements in film, radio, television, comedy, media and social justice. 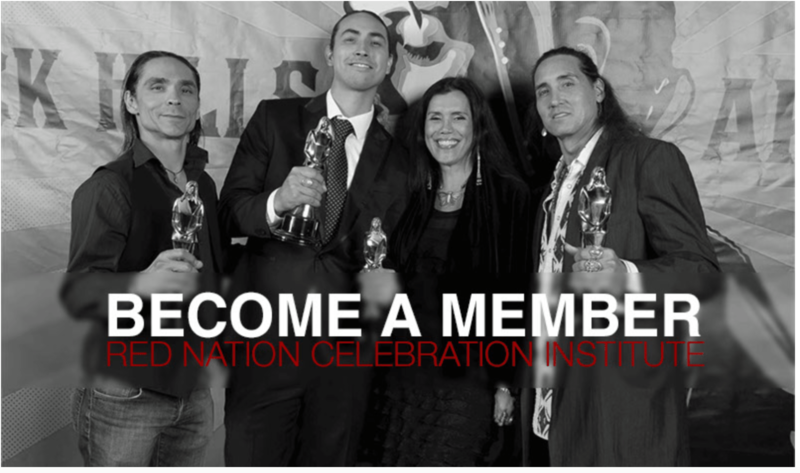 Every year, Red Nation International Film Festival honors individuals with a “Red Nation Drum™” at RNCI Red Nation Awards Show in Los Angeles CA, held and part of American Indian Heritage Month in November. Each year a “Red Nation Drum” is given to individuals who use their voice and put themselves out there to make a difference. The drum represents the Heart beat of all living beings. Each recipient is given this gift in honor and recognition of the hard work they do on behalf of American Indian’s in media, social justice, the arts, environment, human rights, career accomplishments in the arts, volunteerism, and cultural affairs..
Red Nation International Film Festival & Awards Show is a production of Red Nation Films and Red Nation Celebration Institute (RNCI). Executive Producer Joanelle Romero.